On the 19th March 1986 the Association constituted the RAAF Association Foundation. The Foundation supports all past, present and future serving members of the Australian Defence Force. Australian Flying Corp Memorial Sword: awarded to a Junior Officer. The winner is presented with the Australian Flying Corps Sword and is entitled to hold and wear the Sword for the ensuing 12 months. The winner is also presented with a memento of the award to retain permanently. Flight Sergeant Middleton VC Trophy: awarded to a Non Commissioned Officer. The winner is presented with the Trophy and is entitled to display the Trophy in their Mess or on-base Club for the ensuing 12 months. They are also presented with a permanent memento of the Award. Awards are judged using criteria drawn from the RAAF Leadership Companion and are made in concert with RAAF Training Group. Following announcement of the awards, the presentations are wherever possible, made by the Foundation Chairman to the recipients at a formal ceremony at their assigned Base. In 2009 the Foundation, together with the RAAF Vietnam Veterans Association (Vic) and, the Vietnam and Associated Veterans Sub-Branch, instituted an annual bursary. The purpose of the bursary is to provide financial assistance to direct relatives of Vietnam and later veterans seeking to progress their recognised vocation training. 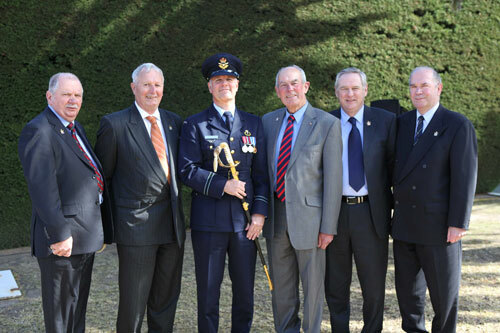 The Bursary will be administered on behalf of the Foundation by the RAAF Vietnam Veterans Association (RAAFVVA). An equivalent recognised TAFE or vocational training course. While academic merit will be a consideration, applicants needing financial assistance is a priority. The Bursaries will be presented at a joint RAAFA and RAAFVVA ceremony in February.